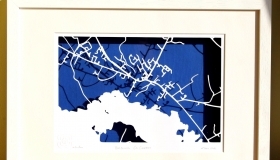 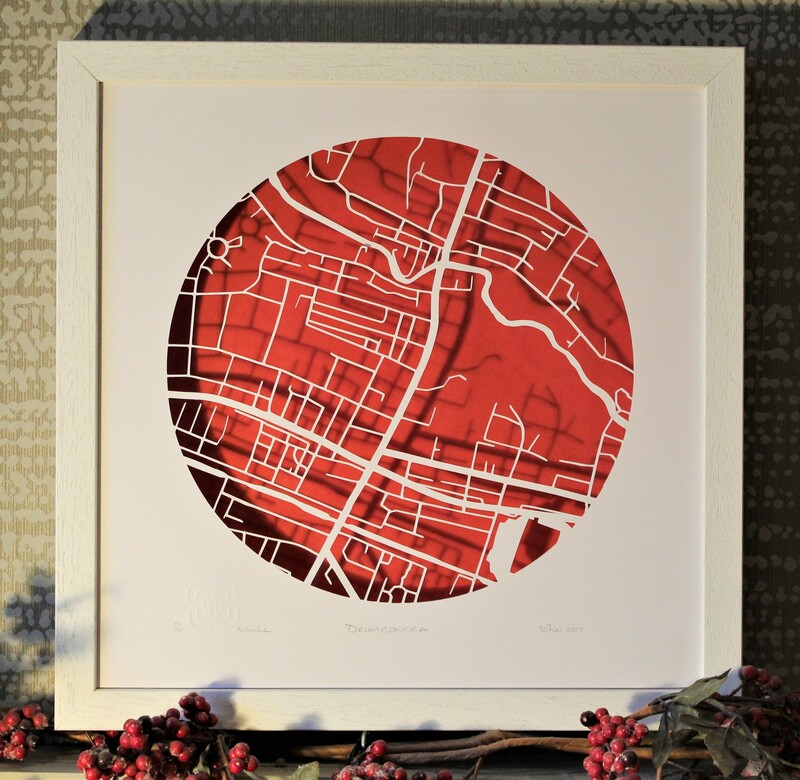 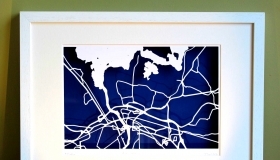 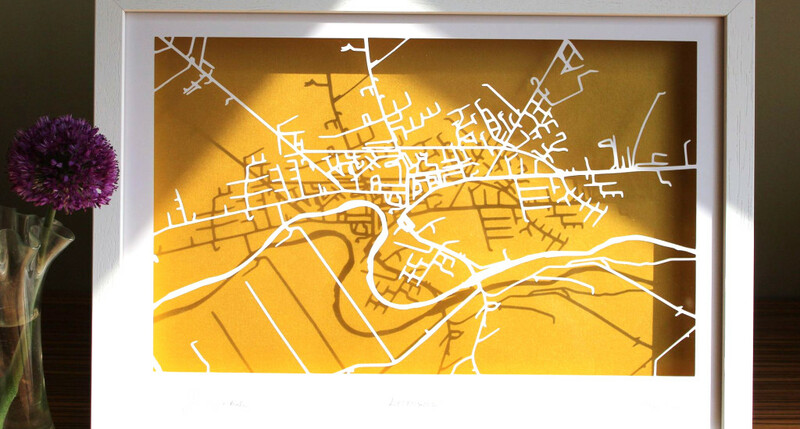 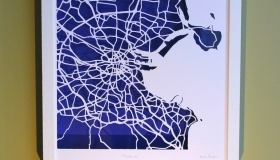 Barbara Burke is a papercut artist with a fascination for maps, she loves the way you can see how a city evolves, next to a river, a port or a crossroads. 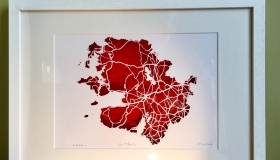 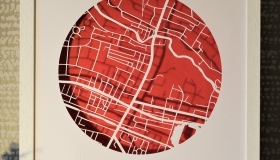 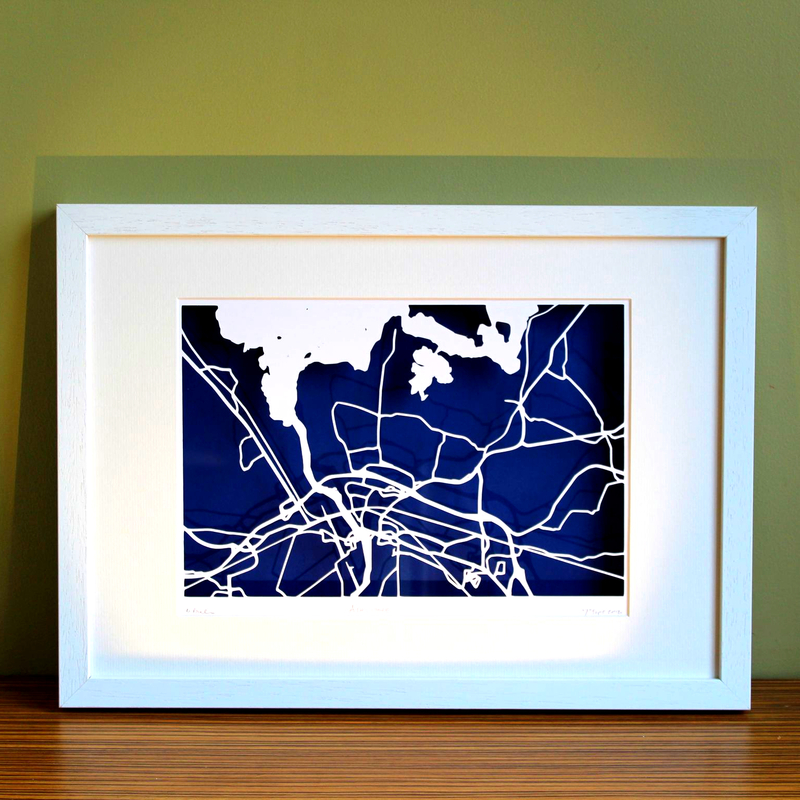 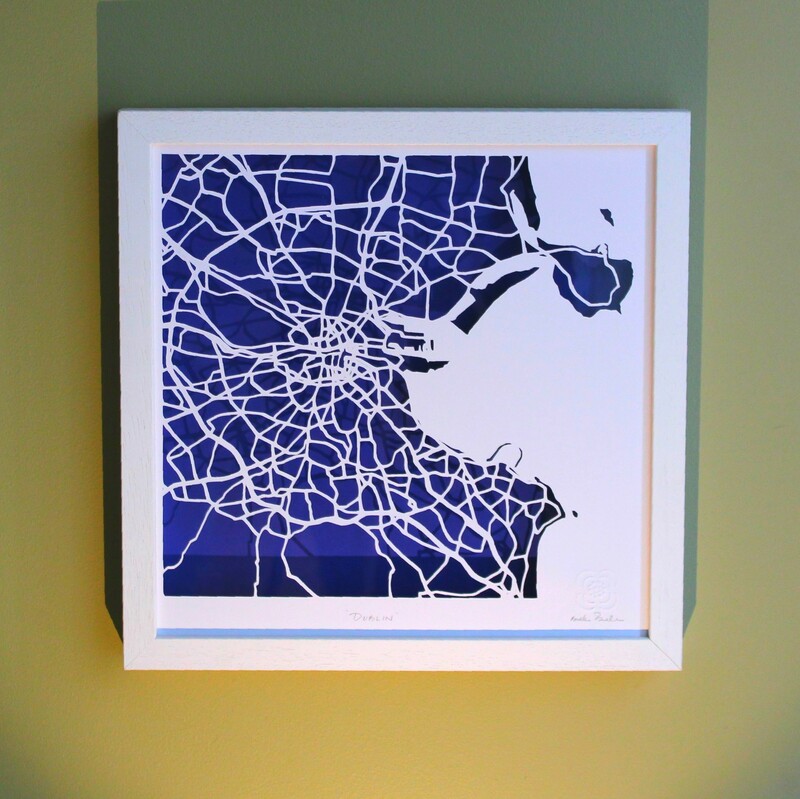 She has created a series of intricate papercut maps of Irish counties, cities, towns and villages where the road and river arteries form an contemporary art map of an area. 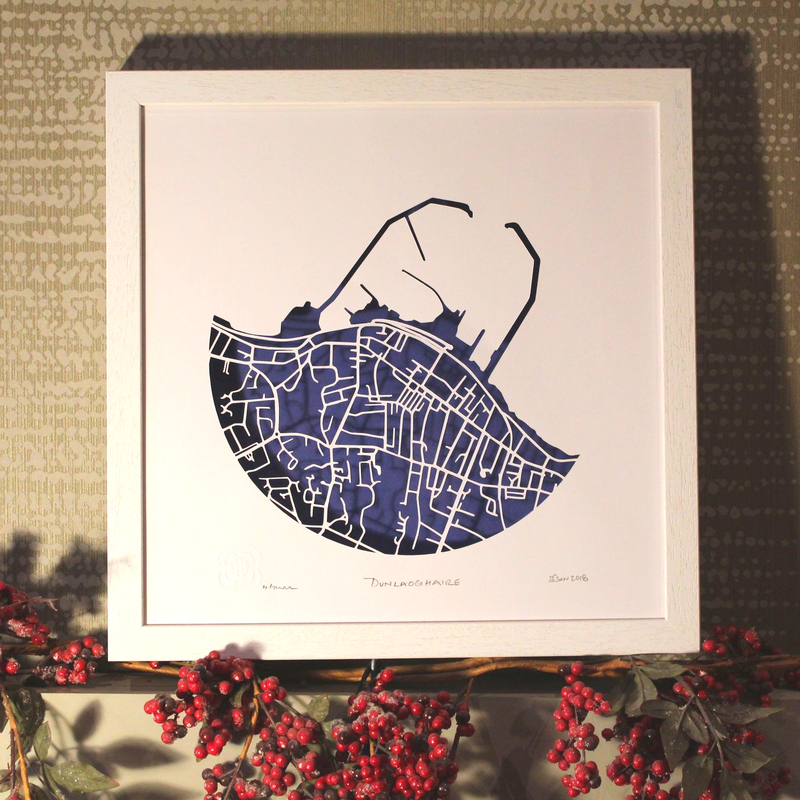 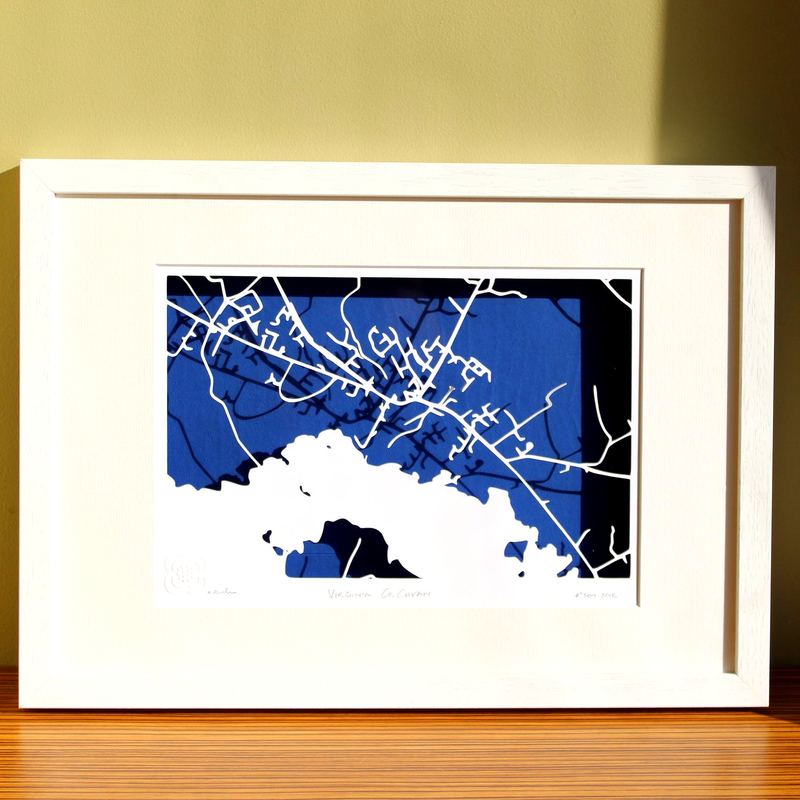 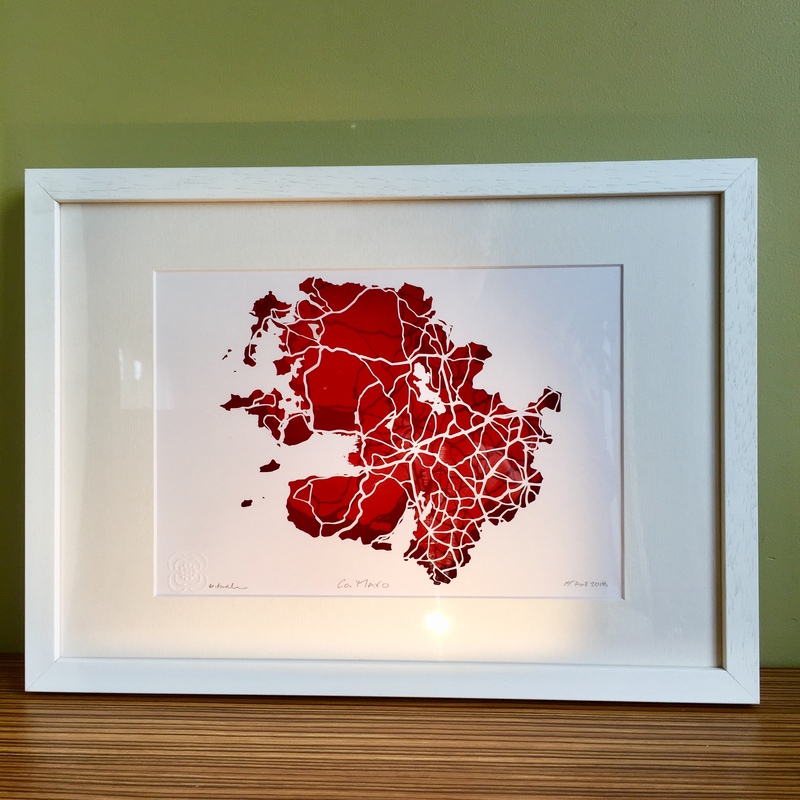 At the Dublin Flea Christmas market BBpapercuts will have a wide selection of papercut maps of Dublin and other areas around the country on display. 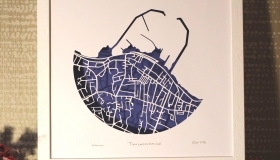 She is happy to discuss making a custom map of any area.